Tube Equipment Corporation is Larry Janus and Chris Juried. Working in our small facility, we design and hand-build vacuum tube recording products for the audio industry. With a TV Repairman father and an uncle who collected the finest McIntosh and Ampex “Hi-Fi” Gear, the hook was set at an early age for Larry’s lifelong love of good sound and vacuum tubes. Working in HiFi repair shops as a teen, he found his way into recording studios in his early 20’s after moving from his native Michigan to South Florida. With a long career at major studios as a tech and some time behind the mixing console thrown in, by 2000, Larry found the studio business in decline. Not wanting to exit the music industry without a fight, he decided to rekindle some tube compressor designs he had built in the 80’s using vari-mu topology. This ultimately led to a return to the original Fairchild schematic as a starting point. 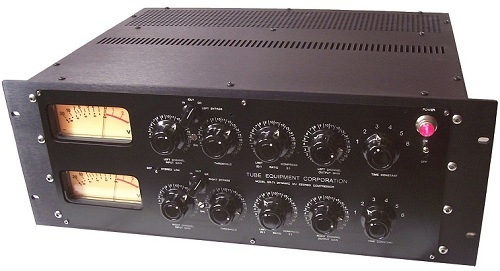 A lifetime of ham radio and vintage audio hobbies plus thousands of studio-hours seemed a useful basis for tube audio manufacturing and after refining the SR-71 prototype and realizing it was something special, Tube Equipment Corporation was officially born in 2004. Early exposure to pro audio was also the case for Chris Juried. Born in New York City, his father Skip Juried was a recording engineer at several major studios in throughout the 60's, 70’s and 80's. 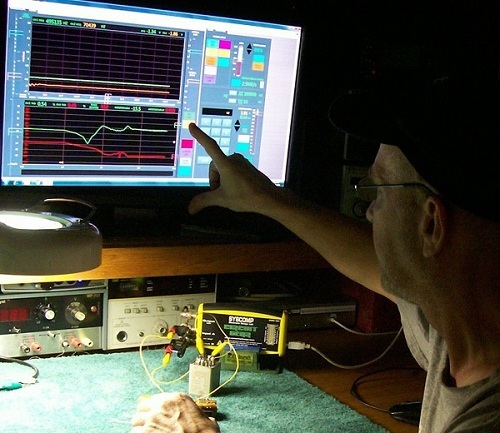 Growing up around these working studios exposed Chris to cutting edge audio, even as a child. One studio housed an infant Eventide Clockworks in the basement and Richard Factor would drag new prototypes into the control room for his dad to hear as they were designed and built mere feet away. These childhood experiences made Chris choose recording as his future career in the footsteps of his dad. Also moving to South Florida, he arrived at New River Studios at age 14 seeking an internship. Chief Engineer Larry Janus was dismissive of this new arrival at first. Then Chris dropped off an Ampex 354 tube tape electronics and told him it’s history and began to speak beyond his years. He was In! Many years and many studios later, Larry and Chris were talking about the great sound of the compressors Larry had built in the 80’s which lived at New River and how the world still needed that sound. Talk turned to action as a formal partnership was formed and an army of two to help keep the tube world alive was conscripted. Chris oversees production and direct sales. His organizational skills have been essential and he solders real well too! Tube Equipment Corporation-Fort Lauderdale Florida USA "Dynamic Mu" is a registered trademark of Tube Equipment Corporation Inc. Copyright 2005-2012 Tube Equipment Corporation Inc. Tube Equipment Corporation products are made in the USA. Tube Equipment Corporation reminds you to please compress responsibly. Tube Equipment Corporation SR-71 Compressor/Limiter. Tube Equipment Corporation Curve Tracer in R&D. Tube Equipment Corporation - Transformer Analyzer, early build, with Larry Janus. 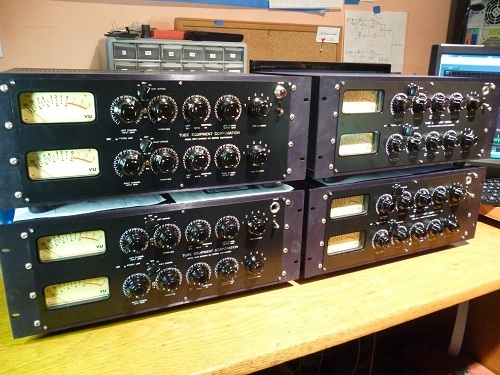 Tube Equipment Corporation, SR-71 x 8 Channels, ready for duty. Do you have content, to add, about Tube Equipment Corporation or associated topics? Please feel free to Share it, here!